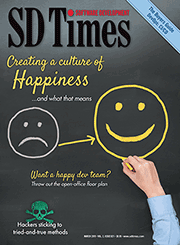 “This gripe is definitely shared by a large proportion of developers. We’re enjoying the ride, but sometimes we just wish it’d slow down a tiny bit,” said Greif. 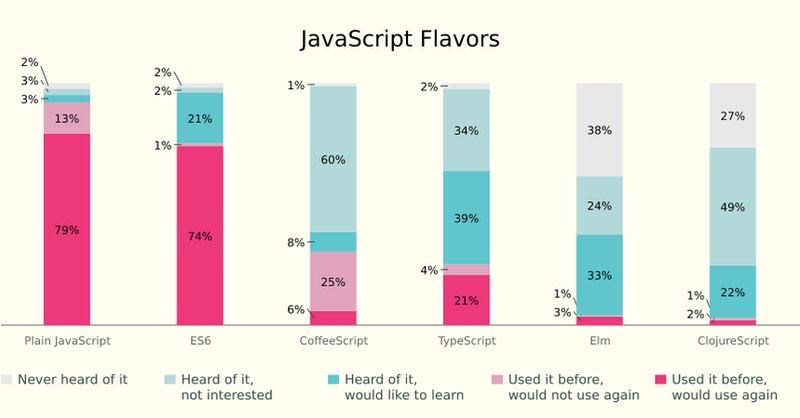 According to the survey, ECMAScript 6, CoffeeScript and TypeScript all have “near-perfect awareness,” which Greif found interesting since TypeScript isn’t that popular when compared to the other two flavors. A large portion of developers are interested in picking up ECMAScript 6, but 89% said that they haven’t learned it yet, thought they want to. With the success of this survey, Greif said he will do it again next year to see how the trend evolves. Developers interested in taking part in this survey can sign up here. Also, the full survey with data can be found here.